Below is an article published by Pulte Homes on the subject of 5 Kitchen Design Trends that home buyers are interested in. 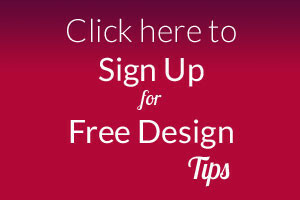 The article shares some great ideas to think about if you are planning a kitchen remodel. S Interior Design likes that their design is not only focused on the look, but also the functionality aspects. Your kitchen is the most functional area in your home and if it doesn’t work well, it doesn’t matter how beautiful it looks. A kitchen is the heartbeat of a home so it’s no wonder that the kitchen is the number one consideration in choosing their next home. Pulte Group’s Interior Designs Team will merchandise about 425 homes in 2016 and the models they decorate reflect the hottest design trends and interior innovations. 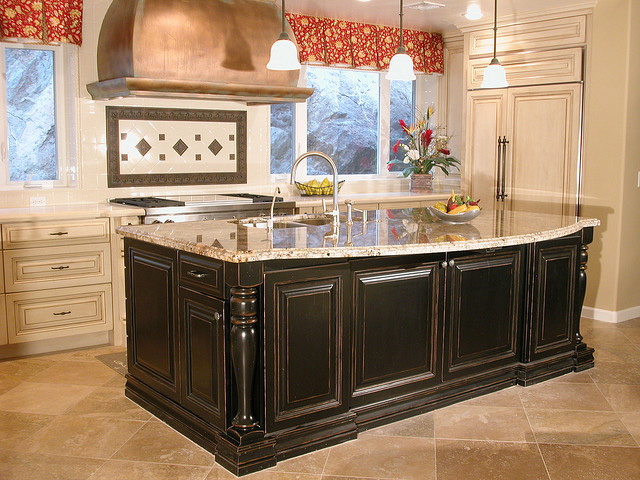 Jones says that in 2016, five kitchen trends are emerging as must-haves when consumers are planning a kitchen renovation project or if they are looking for some easy kitchen updates. These design trends can already be seen today in new Pulte homes being built throughout the country. 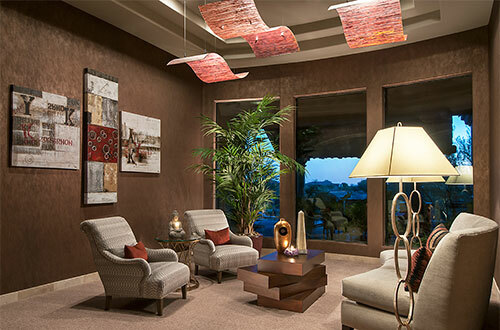 The “Wow” Factor: Bold and oversized lighting choices add drama to the completed space. Decorative lighting is key in the kitchen and adds dramatic flair as well as functionality to the kitchen, especially over the kitchen island. 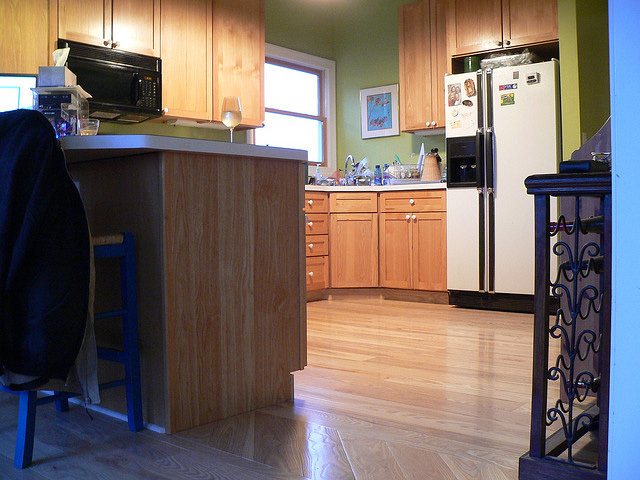 Bridging the Gap: Consumers say you can never have enough storage, especially in the kitchen. Double stacked cabinets extend to the ceiling, which maximize storage space for those special occasion items. More drawers, less doors: The functionality of drawers outweighs doors. These designs are emphasized through the use of bold hardware. Mixed marbles and metals highlight gray wood tones. Materials are being mixed, colors contrasted, and styles interchanged to create a unique and personalized point of view. To see more kitchen designs, visit www.pulte.com. The guest post below high-lights the usual options discussed with one that might be a bit of a surprise. A hint it is used in commercial settings, been around for decades, might be found in laundry or mud rooms. 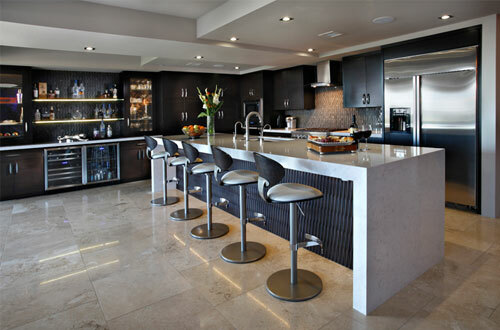 When embarking upon a kitchen remodel, choosing the flooring is one of the biggest decisions along with selection of the cabinets and counter tops and of course the appliances. You need to consider the overall look and feel you are hoping to achieve, the maintainance of the material, and of course the cost when making your flooring choice. I would like to add CORK to the list of options to consider as well. Cork is soft underfoot and comfortable to stand on while working in a kitchen, easy to care for and eco-friendly. My personal kitchen has cork flooring and I absolutely love it! Choosing the best flooring option for your new kitchen construction, remodel project or home renovation is not a concern that should be left to chance. The impact that the right flooring has on your interior environment and décor can be considerable; homeowners who choose their options with a bit more care may be rewarded with an end result that is able to suite their individual tastes far more effectively. Finding a tile flooring pattern to match your décor or choosing the hardwood flooring option that will provide just the right addition to your walls and cabinets will ensure that the kitchen of your dreams can be turned into a reality, one that will provide you with a more enjoyable and satisfying interior décor and atmosphere. Hardwood flooring and other natural materials may allow you to create a cozier and welcoming environment. Different natural and hardwoods may offer you a wide range of color and tone options that may be perfect for creating a more rustic and comfortable atmosphere. Hardwood flooring can offer you a quality flooring solution that will make a wonderful complement for stained walls or cabinetry that features and unfinished appearance. Warmer than tile and more sturdy and substantial than laminate flooring, hardwood may be the material option that you have been searching for to complete the perfect kitchen. The low-cost and superior durability of vinyl flooring has made it a very popular choice for home and apartment construction. The wide range of patterns, textures and styles that may be found for your floor will ensure that you have plenty of cost-effective options to select from. For home and property owners who are more concerned with an affordable and durable material, vinyl and laminate flooring options would be worth considering. 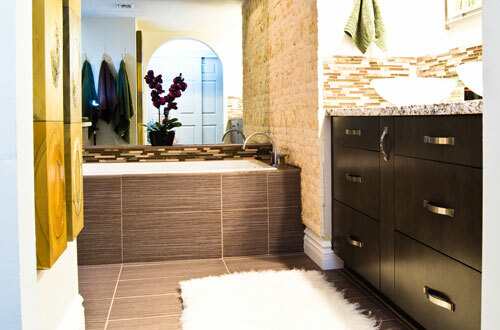 Such materials can provide you with a way to reduce the overall costs of your renovation efforts. 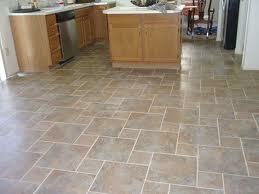 Creating a more elegant and traditional kitchen environment may be possible with the use of tile flooring options. 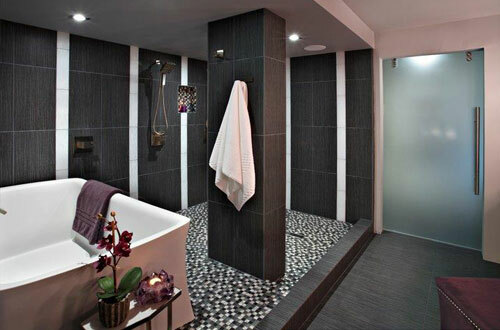 Tile has long been the material of choice for those whose tastes center on more traditional and classical aesthetics. Choosing the right tile for your renovation may provide you with a stunning way to accent your kitchen fixtures and overall design scheme, ensuring that you are able to create a more dramatic space. If vinyl flooring or laminate building materials are unable to provide you with the results you seek, tile flooring may offer you an option that will be far more appealing. From vinyl flooring that will be able to provide a more affordable and cost-effective option for your building materials to the timeless elegance that the right tile selection may be able to provide, homeowners who are interested in creating the kitchen of their dreams will have plenty of options to choose from. Working with the right materials will ensure that your renovation efforts or new home construction will provide you with a more enjoyable environment and kitchen décor. Material selections that will allow you to more successfully express your taste and personal style will ensure that the time and expense you invest will provide you with a more enjoyable home and kitchen atmosphere.